Jeopardy! 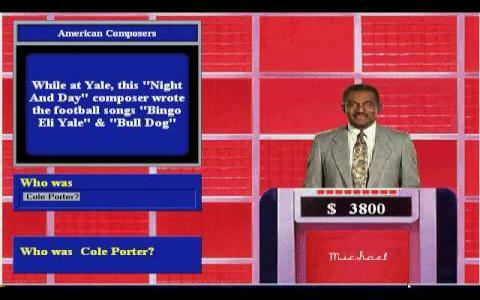 3rd Edition is the computerized version of the most popular TV game show of all time. There have been released many computer versions of this reputed game. If you aren't familiar with the TV show, ths review will inform you briefly of the rules. Jeopardy! 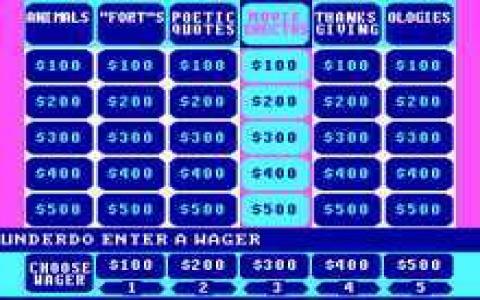 is a trivia quiz, where up to three players are allowed to play in the contest to win most money. But things are different. Instead of answering correctly to questions, the answers are given here and the contestants must provide the correct question. So, the contestant's answer must be presented as a question. The first two rounds offer six categories of five answers each, and you start by choosing one of them. There are six categories from where the contestants have to choose questions. The questions in the first round are worth $100 to $500 each, and the amount of cash will be doubled in the second round. The final round allows you to choose only one category. The contestants will place a secret bet and after that, they have to come up with the question within 30 seconds. Those that earn most cash win the game. Jeopardy! 3rd Edition is fun to play even nowadays, being dedicated for those that like to challenge their knowledge and brain, but is not for everybody.